This last Fall, USFS did a round up of the wild horses residing in the Devils Garden Herd Management area. This round-up was necessary for the safety of these horses (those rounded up and those released back on to the range) as well as the carrying capacity for the environmental balance of the land. There were 932 horses rounded up in this gather (and many foals expected to be born in holding), most of which were sent to the Litchfield Wild horse and Burro corrals to be comprehensively health checked and made ready for adoption as well as placement into the TIP program where trainers like myself take these horse from untouched wild horses, to gentle horses ready for a career and find them adoptive homes. 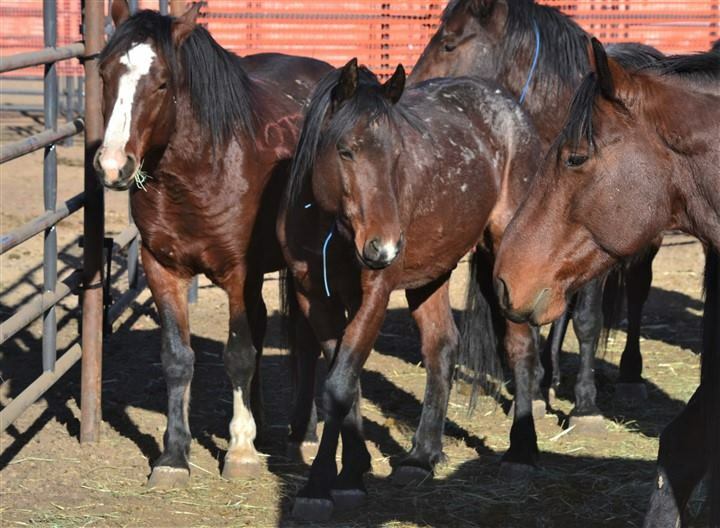 Unfortunately, there are over 200 horses that do not qualify to reside at the BLM corrals until they have been happily placed into qualified homes. These horses are over 10 years of age and are considered "older". Due to the expenses incurred of housing, transporting, feeding, gentling, training and re-homing these horses, it is practically un - feasable for trainers like myself to make a large enough difference (in quantity before our deadline) in bringing these horses home and ready-ing them for new careers soley on their own time and budget. These OLDER horses HAVE to be purchased and picked up from the corrals by February 18th 2019. These horses are AMAZING. They are the most rugged, level headed, strongest of sprit and physically resilient horses you can find. If you spend 10 minutes on a stormy day out in the wild environment these horses THRIVE in, you will immediately be astounded at how TOUGH these horses are. They have practically unlimited potential, for new careers in the domestic horse world once they have been gentled. Gentling requires very specific knowledge of horse psychology and behavior, as these are wild animals and can be incredibly dangerous and unpredictable. These horses have ALL been vaccinated and examined by a veterinarian with clean bills of health and are accompanied with a negative coggins test which allows them to be transported out of state. 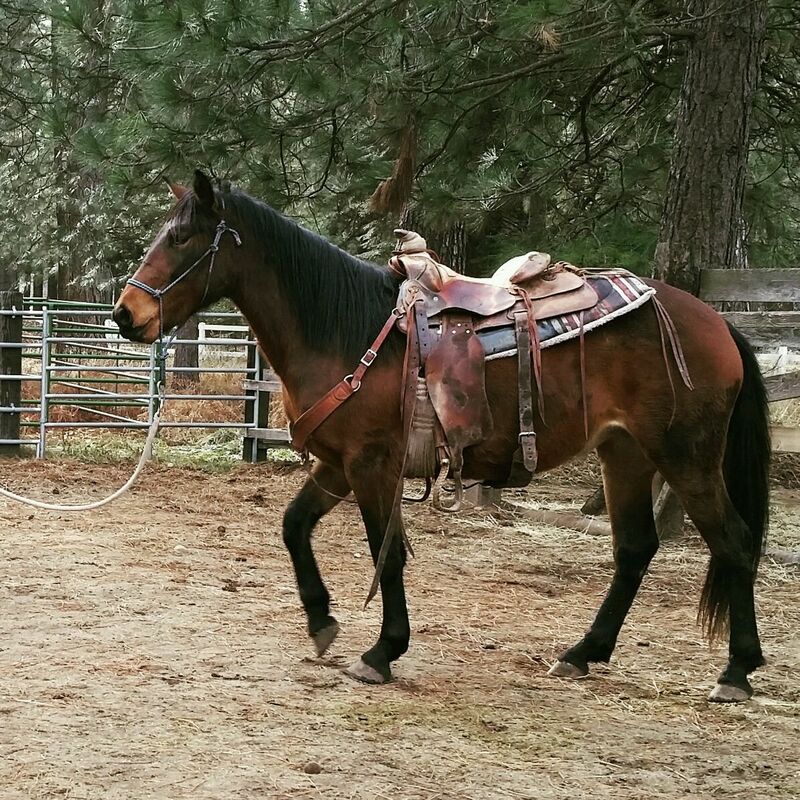 As an approved applicant for Sales Authority horses through the USFS, I am qualified to purchase 36 of these "older" horses to bring home a WEEK. At that point it would be up to me and my ability to invest time, feed and training into them, and then find them suitable homes where they will excel and thrive with new owners. I would like to bring home, train and re-home as many horses as physically possible. As a TIP trainer, having gentled wild mustangs, I know that each horse has it's own timeline to start to trust people. Wild animals can be incredibly dangerous and each individual horse will require individual attention to give it the best possible chance at thriving with a domestic career. She was gentled and saddle started using LEAST- resisitance, Natural Horsemanship Methods. We need people who want to make a difference to help us make this happen. We have our truck and trailer to make trips back and forth to the holding corrals to pick up these horses. We have enough corrals and stalls to house 8 horses right now, but a strong desire to build more. I have the necessary skills to work long hours day after day, teaching these horses to trust in people and prepare for life as a domestic horse. We NEED help. We NEED hay and financial support. These horses require up to 28 lbs of hay a day each to eat. If a mare is carrying a foal, she could use supplements. We need funding to afford the fuel to drive back and forth to the holding corrals to pick up horses. We are personally, currently working on buying a LARGE piece of land that would open up more opportunity for us to keep any horses that were un-fit to be re-homed and just needed a place to hang out. This is a large undertaking for us financially, and more than a full time job. We have a local community we can rely on for volunteering time, for travel and daily care, but this will consume all of our time and financial efforts. These older horses sometimes take longer to come along in their gentling process, especially if a mare is in foal, that would delay her training. We are looking at picking up and providing houses for as many of the horses as physically possible. We will feed them and care for them on a daily basis. We will systematically and thoroughly, one by one, gain their trust, gentle them and find them a suitable home with a new career. The only thing holding us back is the financial obligation required. As a THANK YOU for your support, I will launch an Online, Exclusive page that will provide weekly updates of all horses and their related activities. As each and every horse arrives, becomes a Name instead of a Number, you will be introduced to them and be taken through the part of that horses story, being written, thanks to your help and support of making bringing them home and giving them an opportunity at a new life POSSIBLE. This is enough money for me to afford multiple trips to the corrals to pick up horses, feed and train them in the minimal amount of time to prepare them for re-homing. I will do as many trips as I can afford on my own but am being realistic about fundraising ability. 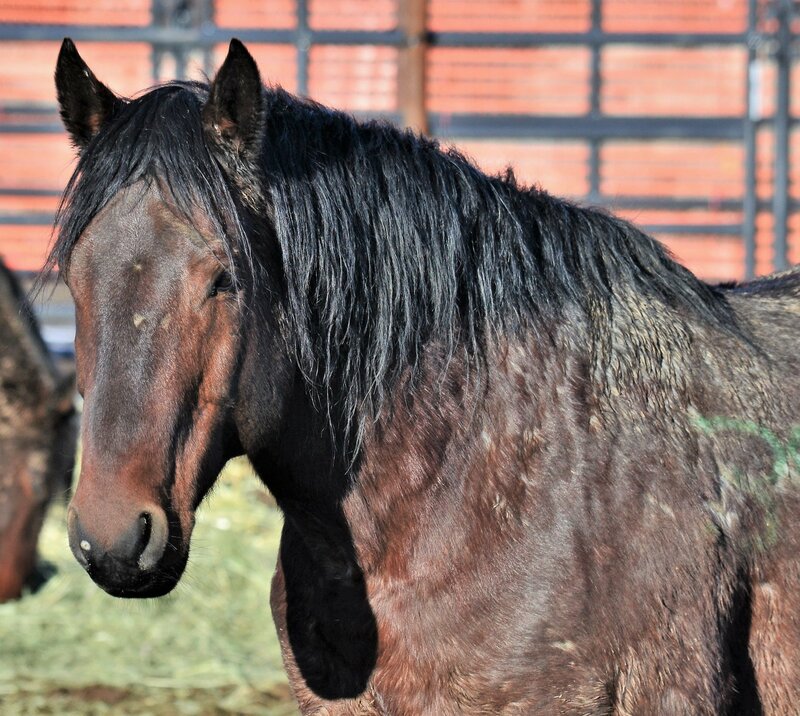 Training of a younger wild horse is usually reimbursed at the rate of $1000/ horse to cover feed and travel expenses. We estimate that the older horses have the potential of taking a greater amount of time to settle in and time training before they are fully gentle. Training time is factored HERE at a greatly discounted rate. We do have to cover our own personal expenses since all of the care, transportation and all other required time will be completely donated by ourselves. Standard horse boarding costs at minimum $300 a month/ so this is a bare-minimum, as cost effective as possible model for feeding. This $6,000 budget would allow us to bring home 4 horses and invest in their futures. 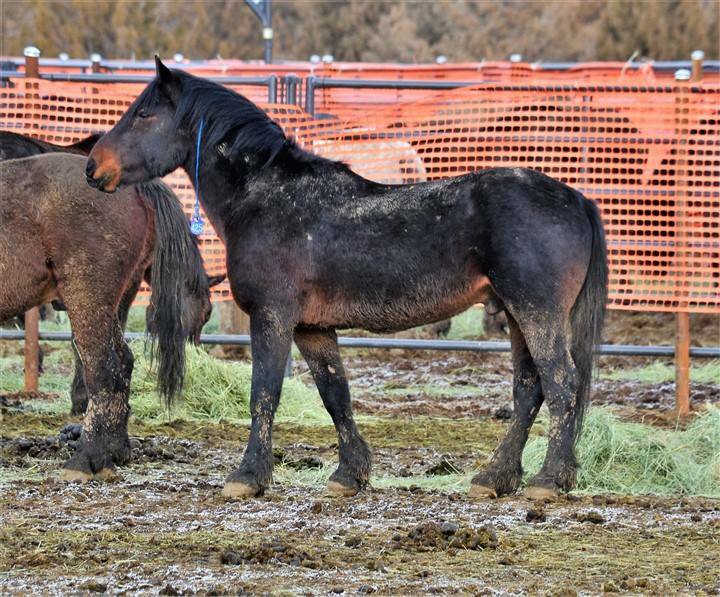 The remaining $1, 140 would be used for other necessary supplies required for so many horses: buckets, halters and lead ropes, panels for making additional corrals. I would use this funding to bring home the maximum amount of horses possible, care for and train them for new home. My target amount of horses for this amount would be 24. You will be added to our online group, with weekly updates on the horses! 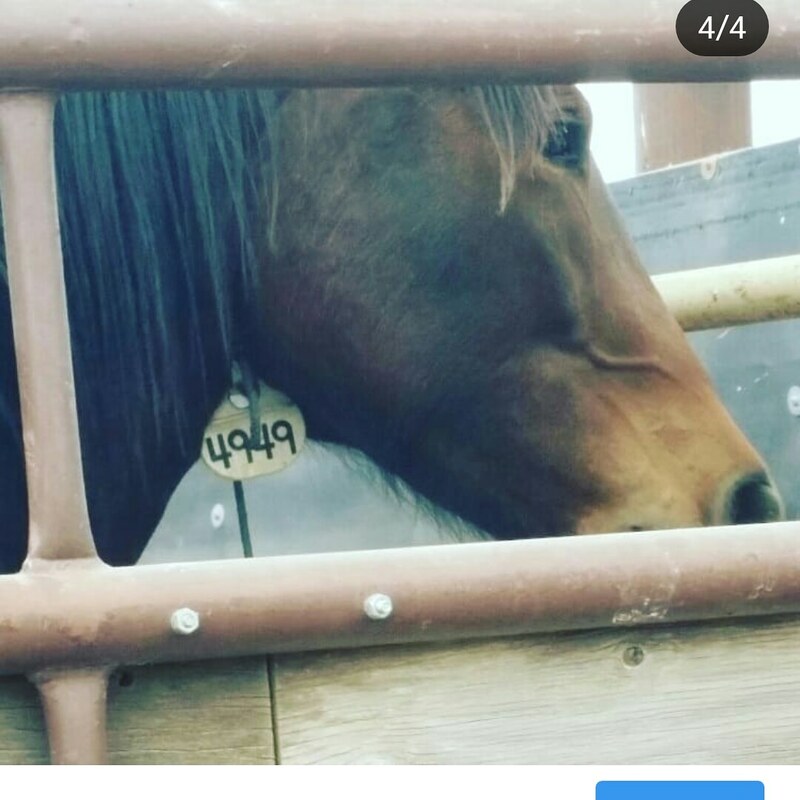 As each horse is brought home, earns themselves a name instead of the number they leave the corrals with, you will get the full scoop (complete with pictures and video). Their story will be continually updated until they have found a new home, family and career. We will send you a photo of the horse of your choice with a personal thank you for your donation! You will ALSO be added to our online group, with weekly updates on the horses! As each horse is brought home, earns themselves a name instead of the number they leave the corrals with, you will get the full scoop (complete with pictures and video). Their story will be continually updated until they have found a new home, family and career. 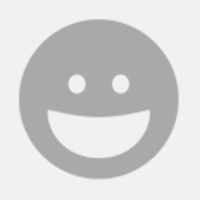 You will also be thanked in our newsletter! A T-shirt that we designed to represent our project! You will also receive A T-Shirt that we designed to represent our project as well as a photo of the horse of your choice! You will ALSO be added to our online group, with weekly updates on the horses! As each horse is brought home, earns themselves a name instead of the number they leave the corrals with, you will get the full scoop (complete with pictures and video). Their story will be continually updated until they have found a new home, family and career. You will also be thanked in our online newsletter! You will receive a VIP ticket to a public event at our facility. Here, you will meet the horses, "boots on the ground" volunteers, potential new owners and be personally recognized for your contribution for making this possible!